The country’s largest wireless carrier is on a mission to also be its greenest. 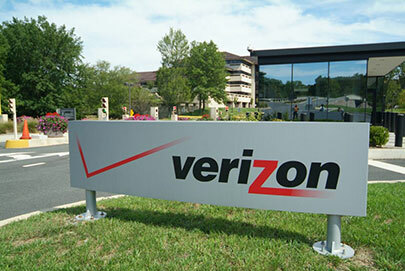 Verizon Wireless Inc. announced on Monday that it will invest $40 million into 10.2 megawatts (MW) of solar power in five states across the country. The solar installations at eight Verizon network facilities in California, Maryland, Massachusetts, New Jersey, and New York will nearly double the amount of power the company derives from solar energy systems, according to a press release. Rhone Resch, president of the Solar Energy Industries Association (SEIA), said the latest move by Verizon puts the company at the top of U.S. telecom companies investing in solar power. “In fact, we project that Verizon will be among the top 20 of all companies nationwide in terms of the number of solar installations it operates, and one of the top 10 companies in the U.S. based on solar generating capacity,” Resch said. Last year, Verizon announced a $100 million investment in a combination of solar panels and fuel cell technology, a decision it predicted would not only lower utility bills and emissions but also improve the reliability of its operations. In all, the company’s clean energy investments are expected to offset approximately 22,000 metric tons of carbon dioxide emissions per year — equivalent to taking 5,000 cars off the road. Green Touch, a consortium of businesses, government agencies and academics that includes AT&T and Bell Labs, has set a goal of achieving a 1,000-fold reduction in energy use across the ICT sector through a dramatic improvement in network energy efficiency. On the path toward its ultimate goal of a 50 percent reduction in carbon intensity metrics by 2020, Verizon touted its improved cooling efficiency and reduced energy consumption in its data centers. The company’s effort is part of a growing trend among major internet and telecom companies in the U.S., as Apple, Google, Microsoft, and others have made big moves to reduce emissions and improve reliability by deriving their power from clean energy sources and building their own renewable energy projects.